Insurance. You name it; you probably have it. Car, life, medical, travel… the list goes on and on, so it’s no wonder you feel the pinch in your pockets at times. Of course, without sufficient insurance, you may be worse off financially when disaster strikes. We can’t preempt illness, and while you might be the safest driver on the road, you can’t control what other road users do when they are driving near you. Before you commit to your next insurance policy, consider the following mistakes people make before parting with your cash. Making the right moves now will save you money in the long term. You might find it easier to renew with the same company every year, but you may get a better deal elsewhere. Unique policies, such as this medical insurance with exclusive privileges, or a cheaper premium may be just what you need, but if you don’t shop around and do a little research, you will be stuck with insurance coverage that doesn’t match your needs. From buying healthcare insurance to car insurance, make sure you get the discounts you are entitled to. We know insurance companies are sometimes reluctant to pay out money in times of need, but they may also keep details of their discounts hidden from you. The best way to get what you need is to pick up the phone and directly ask them. You may be entitled to a no-claims discount, and you can also reduce costs by going paperless. When it’s time for renewal, you can get often get a discount from your current provider if you evidence cheaper prices elsewhere. So, don’t be shy, get on the phone, and save yourself some cash. We all make mistakes, and if you realise you have made a mistake on the form, let the insurance company know as soon as possible. A quick scan of your policy will let you know. On the other hand, you may tell a few white lies to get cheaper insurance. However, you will run into trouble if you get found out, and your car insurance policy will be declared void. You might have told your provider that your car is parked on a driveway for example, but a quick Google Maps search may give away your lie if there is no such parking space available. Your needs probably change over time, so you need to keep your policy up to date. Take contents insurance as an example. You will have made an inventory of your items when planning your coverage, but as soon as you buy something else of sufficient worth, you need to add it to the policy. From burglars to breakages, you will want to make sure everything is covered, so always ring your provider with an update. The same applies to your car insurance. You may actually have a driveway to park your car on if you move house, so let your provider know to reduce your monthly premium. 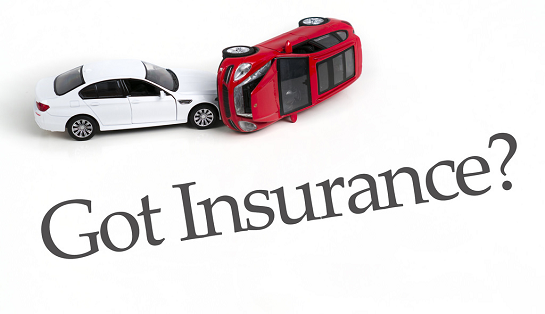 The worst mistake you can make is not getting insured in the first place. You might not need coverage for everything, but shop around, do your research and heed the mistakes we mentioned above.